Long before the internet was invented, people found a way to share pictures of their cats. Even ancient Egyptian art features depictions of cats, sometimes portrayed as gods. Although the famous cats of the internet aren’t exactly gods, they are treated like celebrities, often having endorsement deals for products or charities and an IMDB profile filled with movie or TV appearances. 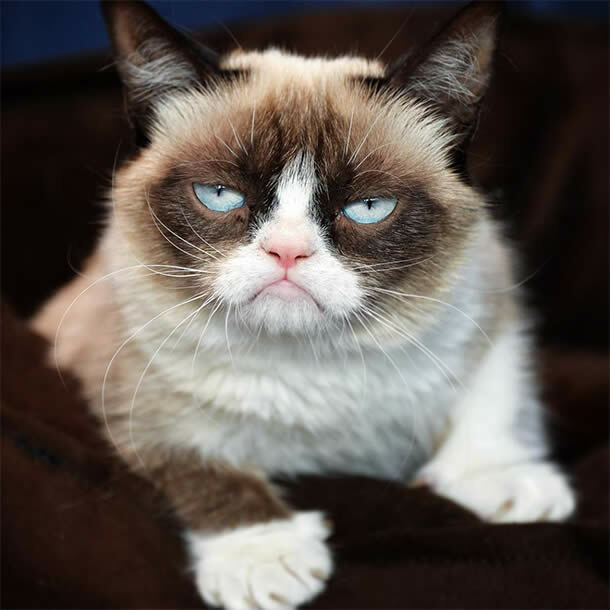 These celebrity kitties are known worldwide for their unique looks, funny personalities, and their ability to unite people across our one everlasting, common attribute: our insatiable love for cats. This Chinese cat has taken the world by storm. 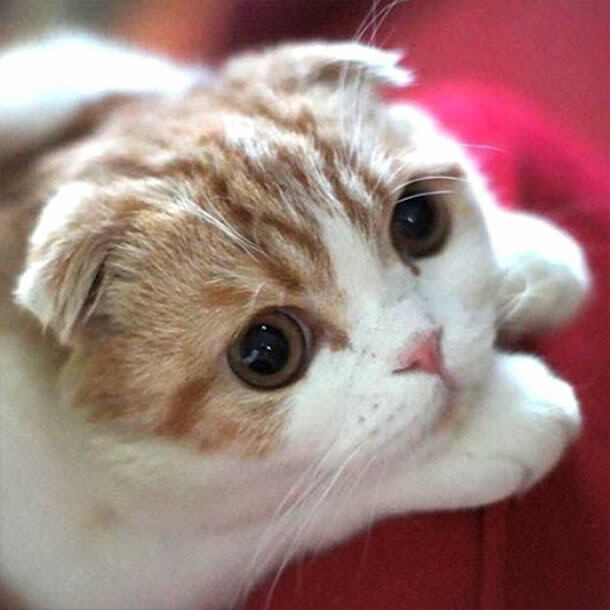 An exotic shorthair with signature bright orange/brown eyes, Snoopy has a specific look that he can thank his parents for. His owner, Miss Ning, says that Snoopy’s parents are an American shorthair and a Persian cat. 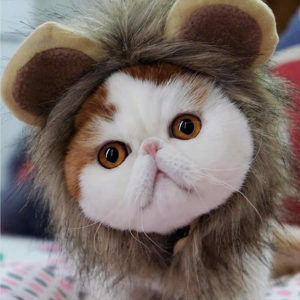 After putting pictures of Snoopy online, even she was shocked at how many people had fallen in love with this unique faced kitty. But beyond his natural good looks, Snoopy also has an immaculate collection of accessories, which you can find him showcasing on his Instagram page. Celebrity pets aren’t all about the looks, sometimes it’s all about the cat’s complex personality. That’s exactly the case when it comes to Garfi the Angry Cat. But his looks don’t hurt either. 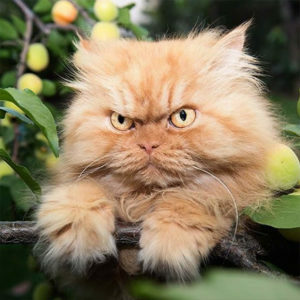 This long haired tabby has a signature scowl on his face, which led to his self-labeled status as “The World’s Angriest Cat.” As one of the new kids on the celebrity cat block, he’s definitely making a name for himself, rising to fame quickly and, also, angrily. Most of the famous cats on this list got their start on Instagram or Facebook. But not these two kitties! 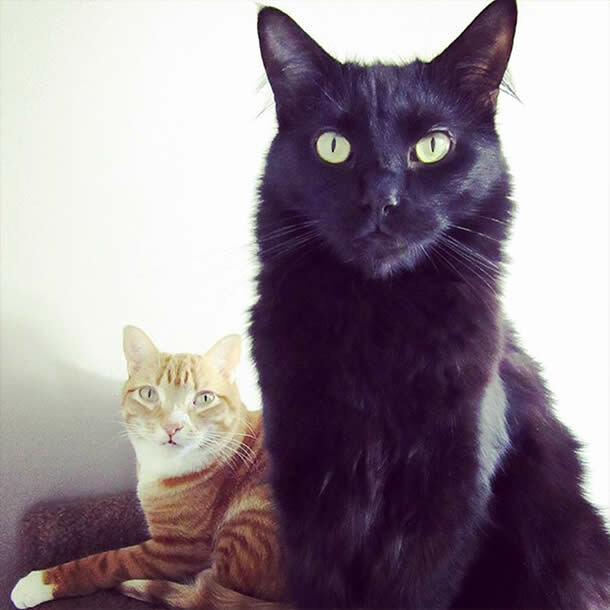 Cole and Marmalade are two adopted cats that found their claim to fame on YouTube. After several of their videos went viral, their following soon flourished across social media channels. Marmalade, the orange tabby named after the delicious spread that his human caregivers love to put on their toast, was diagnosed with FIV and cancer in 2014. Thanks to early intervention and treatment, Marmalade is in remission and living life to the fullest–he’s not going anywhere any time soon! Monty’s unique looks come from a chromosomal abnormality. This abnormality is reflected in his lack of a nasal bone, giving his face a wider and flatter appearance. 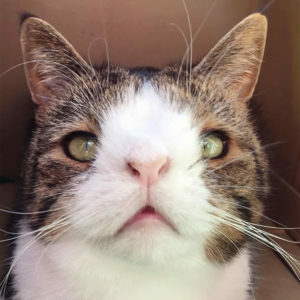 But this special boy isn’t known just for his good looks; Monty the cat is an ambassador for unique cats, particularity those with special needs or that need just a little bit of extra care. Adopted from an animal shelter in Denmark, where he lives, Monty has spread his message of love and acceptance to other special cats all around the world. It’s official: the hipsters have taken over. Not only have they laid claim to thrift stores, micro-brewed beer, and vinyl records, but now they’re a part of the celebrity cat craze. 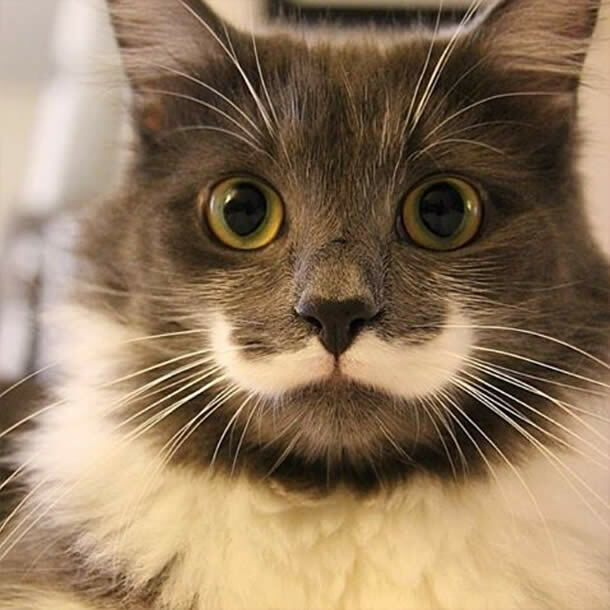 Hamilton the Hipster Cat gets his name from his signature ‘stache, which looks a lot like the handlebar moustaches that hipsters proudly procure. Much like the other celebrity cats, Hamilton was adopted by his family. It took him a while to warm up to living in a house, because in true hipster fashion, Hamilton is literally from the streets (he was a feral cat before being adopted). Believe it or not, Waffles had trouble finding a home as a kitten. This handsome boy was called “ugly” and was passed over by numerous people until he reached adulthood. It was then that someone finally recognized Waffles’ stunning looks and loving personality. Now, Waffles has over 2 million fans on Facebook alone! Now this sweet boy will never feel unwanted again. Yes, this is Venus’ real, 100% unadulterated face. Venus’ family is so often asked if she’s photoshopped, that it’s something she has to explicitly state in the bios and “About Me”” sections of her social media. Venus has been labeled as a chimera, a mythological term describing a monster made up of several different parts of other creatures. 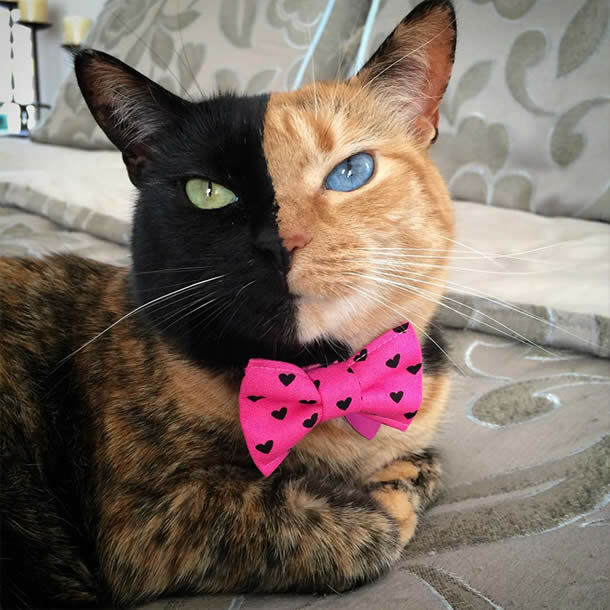 But does Venus fit the modern definition for a feline chimera? Chimera cats are defined as cats with two or more types of DNA. This process can occur when two embryos fuse together in utero. But, the science is still out on why Venus appears to have two different faces, with many scientists noting that it might just be the result of hitting the jackpot on the genetic lottery. 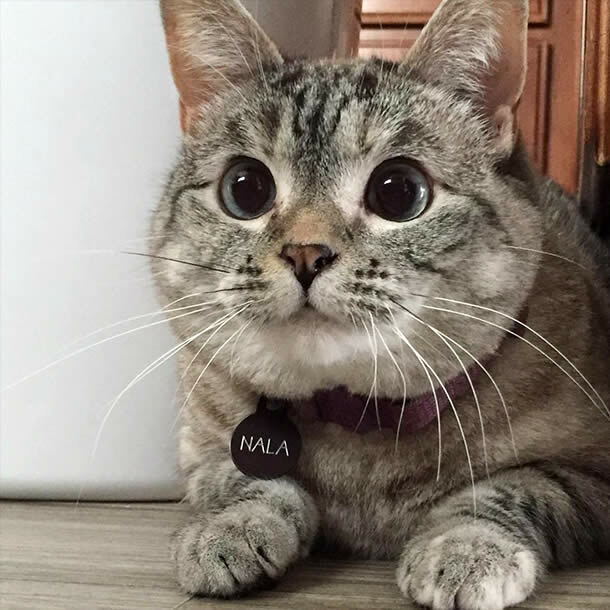 Nala was adopted from a shelter, the last unadopted cat from her family. It was one fateful day when her future human came to the shelter, just to look at the available cats and without a strong intention to leave with a new furry friend. Well, just as Nala has captured the heart of the internet, she captured the heart of her human; Nala was adopted on the spot. But Nala’s story isn’t one that was intended for fame, Nala’s pictures were originally put online just to share with family and friends. But the internet never sleeps, and soon Nala’s number of followers swelled to millions. Nala’s family prides themselves on donating money to animal charities, determined to help other cats that started out like Nala. 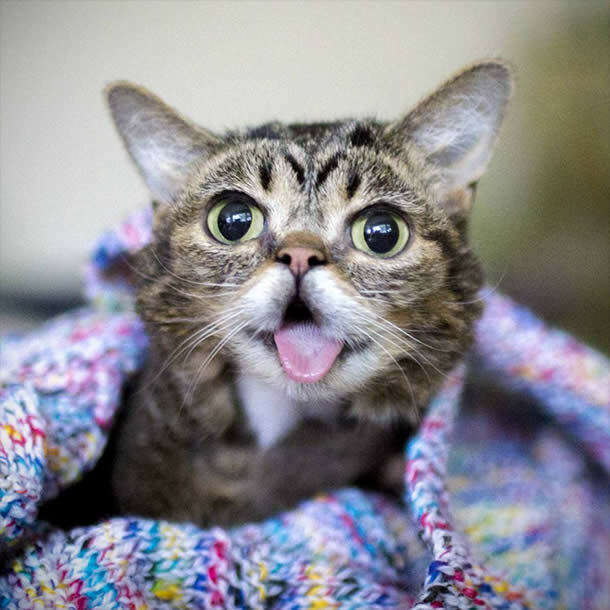 Referred to as the “forever kitten,” Lil BUB is a uniquely adorable cat, with an equally unique name; often mistyped, BUB’s name is actually meant to be spelled in all caps. BUB was the runt of her litter, born to a feral cat in rural Indiana. But BUB is not like other cats, she has been battling a slew of genetic abnormalities since birth, including dwarfism and a mismatched jaw. 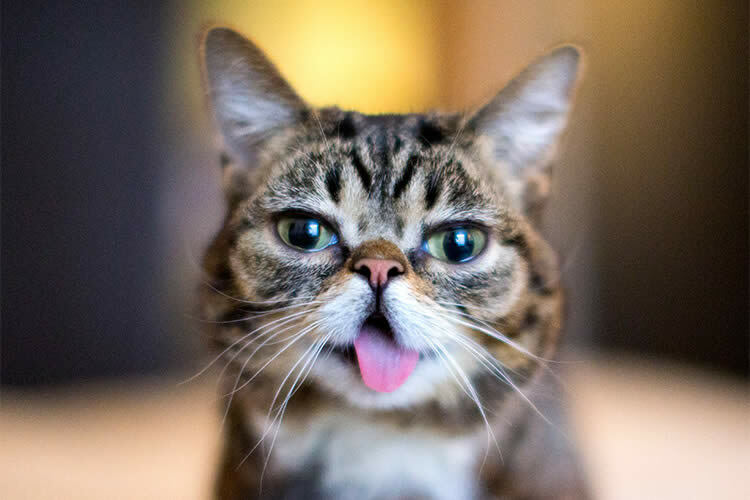 Additionally, BUB is the only known cat to be born with osteoporosis. Luckily, due to BUB’s fame, she was able to find care from experts that got her started on a treatment plan, not just restoring her health, but making her able to move better than ever before. BUB is noted as an incredibly active animal activist, raising money for animal charities, spreading the word about animal welfare programs, and helping people all over the world understand that special needs pets are perhaps the most special pets of all. When pictures of Tardar Sauce were first uploaded onto the net, people didn’t believe that she was a real cat. But, her owners posted multiple images and videos to prove that yes, Tardar is a real cat and she does indeed look permanently grumpy. After her face spread around the internet like wildfire, Tardar Sauce became known more for her appearance than her name. From then on, she was forever known as Grumpy Cat. Since rising to celebrity cat status, Tardar has done endorsement deals, celebrity appearances, and become a household name. WARNING: Cat cuteness overload coming to a Facebook page near you soon. Blake is a lifelong animal lover and lover of literature. She spends most of her time reading books, petting her cat, and taking her dog for long walks in the forest.